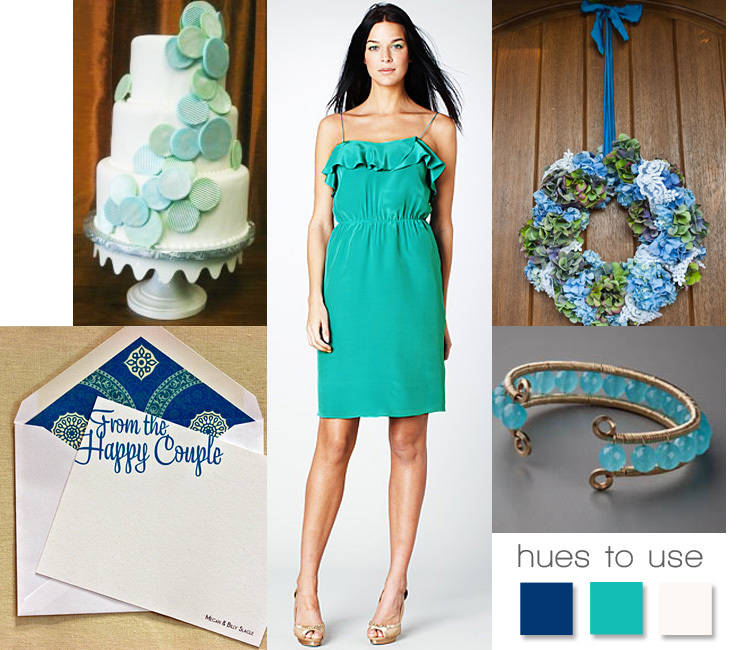 Drift away with this ocean-inspired color scheme! Start it off with this flirty number from Simple Silhouettes available at Bella Bridesmaid in sea foam. This bracelet from Stanley Korshak can double as your something blue and tie in to your cool water color palette. Use a combination of florals like this wreath from Bella Flora captured by Thisbe Grace. Try this creative cake from Romano’s Bakery with pops of pale blue and green. Thank everyone for coming to your fabulous celebration with these adorable customized notes from Southern Fried Paper. Cheers!